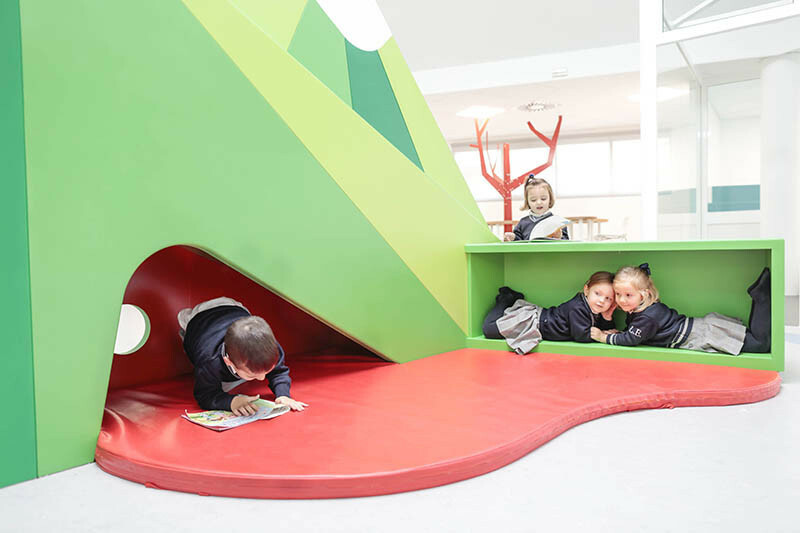 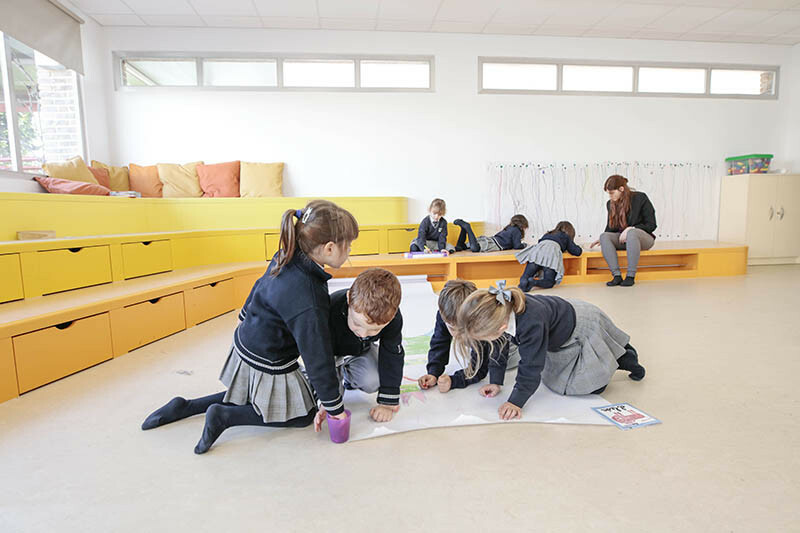 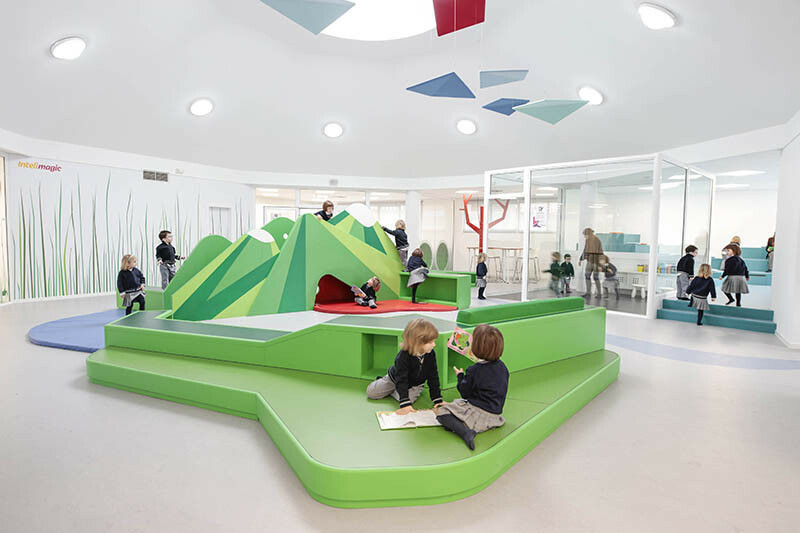 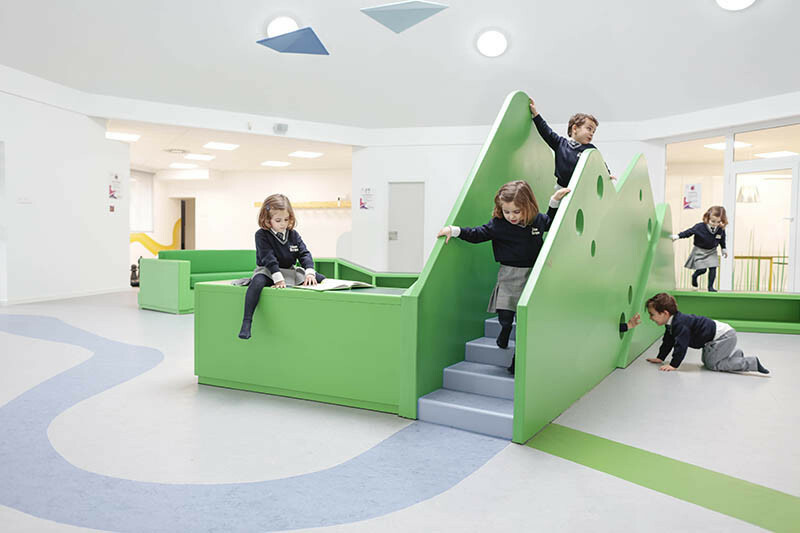 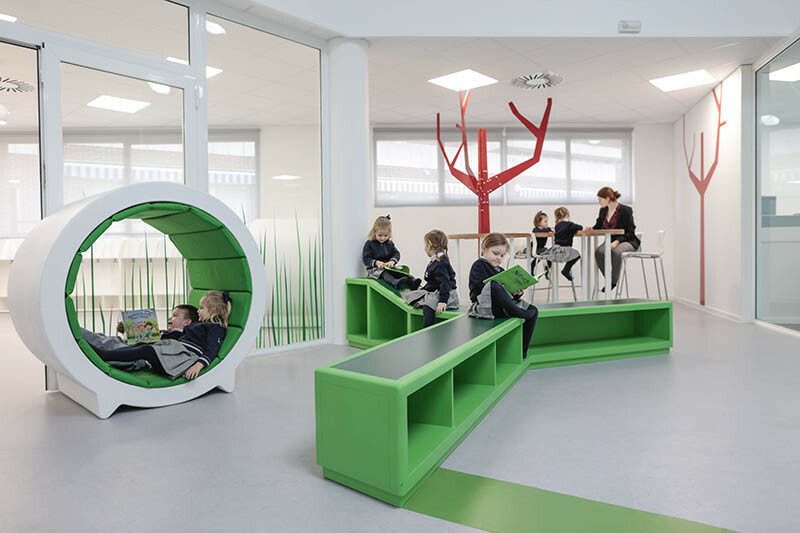 Copenhagen design firm Rosan Bosch Studio, have designed the interiors of a kindergarten in Zaragoza, Spain, that has a variety of creative learning zones for the children. 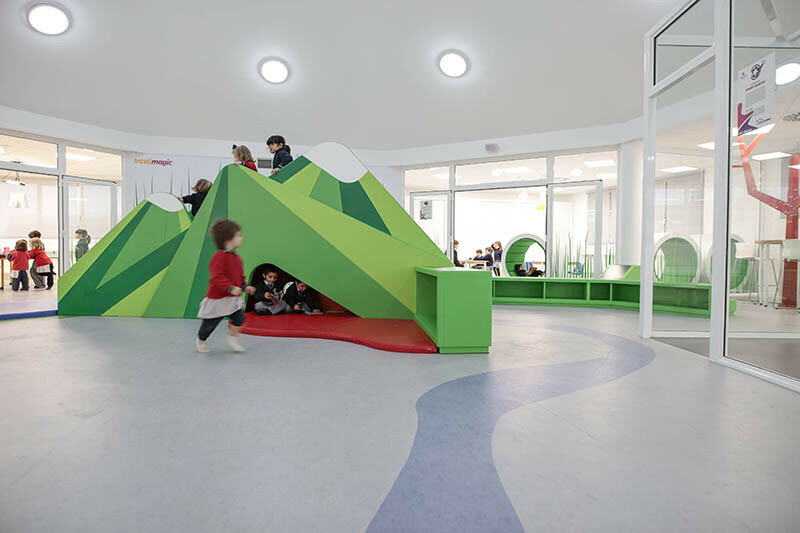 The kindergarten, which has children from 3-6 yrs, is home to a custom-designed mountain with caves underneath for the children to play in. 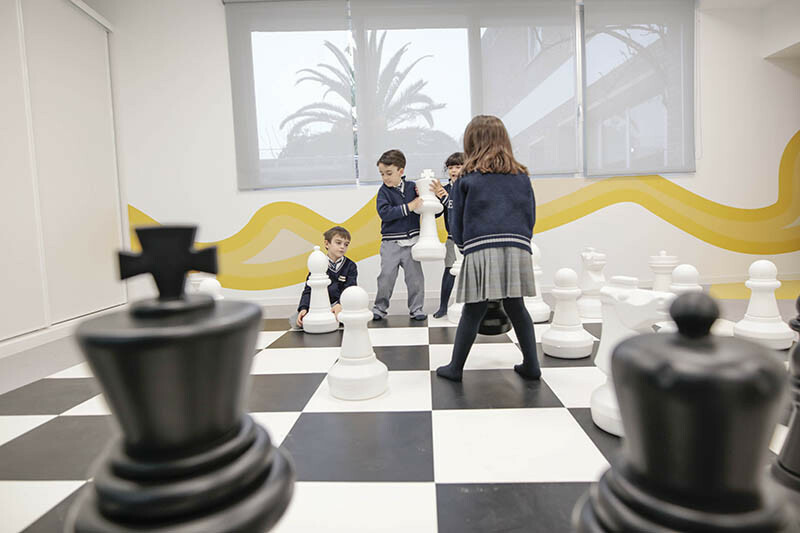 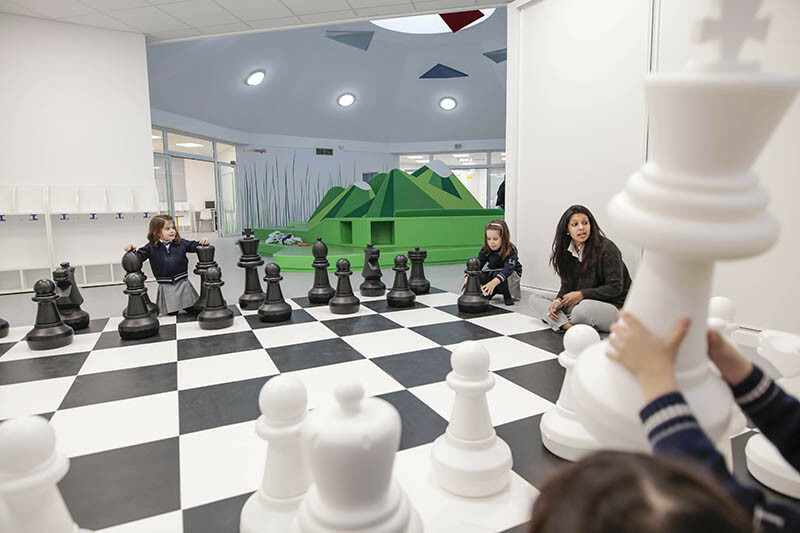 The kindergarten also has a large chess set for the children to play. 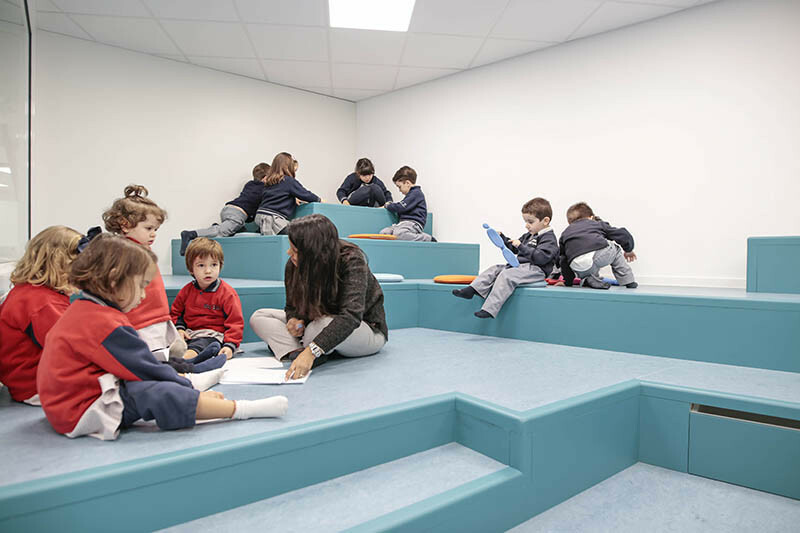 There’s also stepped seating with storage for children’s toys and books.